I watched this movie the same day I watched Hush, Hush, Sweet Charlotte, on a lazy Saturday when I was about seven and my mother was out of town. I don’t know what the hell my dad was thinking renting those two videos, but I’ve never forgotten either one. 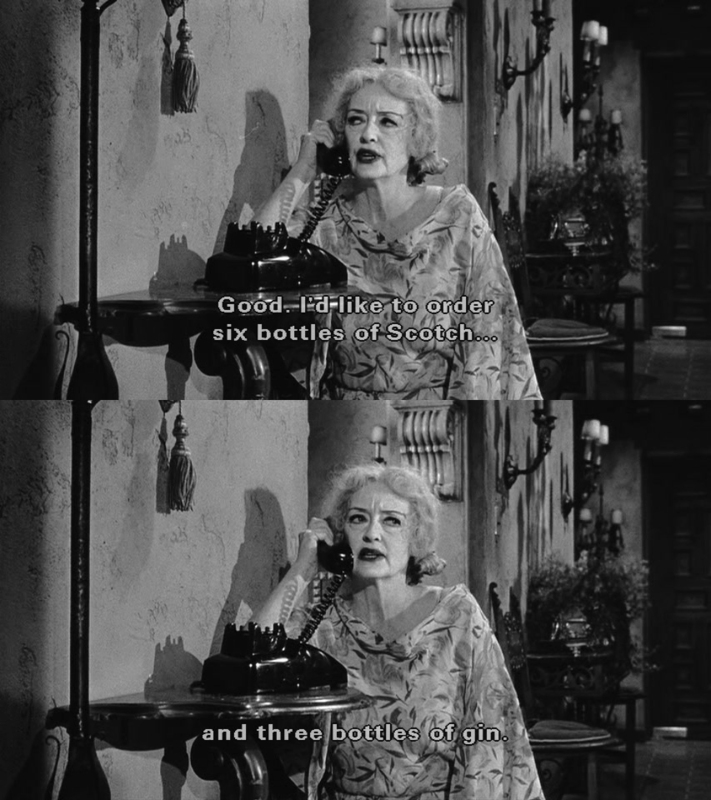 Tags:1962, alkyholism, Baby Jane, Bette Davis, daddy issues, Hush Hush Sweet Charlotte, images, It happens, Joan Crawford, movie quotes, movies, Pictures, quotes, Robert Aldrich, screencaps, stills, vintage, what, What Ever Happened to Baby Jane? by Adam Hughes unless it’s not. Credit correction welcome? 13,206,089 denizens of the net we call inter have given this journal a spin so far -- thank you for being one more!